My son is my side kick, anywhere I go he follows. Its like he is a duck and he thinks its fun to be right behind me. Recently he has loved to brush his teeth. He has his own toothbrushes and they are so tiny and cute. He has Winnie the Pooh themed toothbrushes that he uses. We watched the movie and he wanted the characters on his new toothbrushes. He calls Winnie "Pooh". Every night before bed he comes into the bathroom while I wash my face and brush my hair and tells me "Pooh" and I hand him his toothbrush. The one time I will never forget has to be the funniest and grossest bathroom moment. I was washing my face off from a mud mask I had on and my son came into the bathroom. Like always he tells me "Pooh" I told him just a second since I had green mud all over my hands. He persisted with "Pooh Mama Pooh". I reached up and handed him his toothbrush. He threw it onto the floor yelling "Pooh Pooh". I finished washing off my face and dried it with a towel. When I looked at him I realized he was saying "Poo" and NOT "Pooh"! He had poop on his hands, his clothing and his cute Winnie the Pooh toothbrush. I was so beyond grossed out! I got him into the tub and after his bath I tossed the toothbrush and had to clean and disinfect the bathroom. Yuck but it was so funny. I explained to him to call it "Poop" and Winnie is the "Pooh" lol. My son likes to take his toothbrush and run for it. I found him hiding in the cupboard with a toothbrush and hair brush. He sometimes uses the toothbrush for a hair brush too. The Clorox Lounge activities kick-off with Last Comic Sitting Competition and Sweepstakes, starting February 27, 2012. Over the course of eight weeks, 10 of the funniest mom and dad comics will go head-to-head in a stand-up throw-down for the chance to sit on the throne and be crowned the Last Comic Sitting. Each week, they’ll face a new challenge and based on consumer voting one will be eliminated. The grand prize winner will receive $10,000. For four weeks, you will have the opportunity to vote and narrow the comics down to the top mom and top dad. You also have an opportunity to win $10,000 in the Last Comic Sitting Sweepstakes. 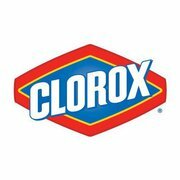 Simply visit The Clorox Lounge to sign-up and be automatically entered for a chance to win the top prize. You can generate up to two additional entries each day, per day, by logging in and commenting, until April 22, 2012. Fans can also enter for a chance to win cool prize packs. Ten will be given each week, for twelve weeks, until April 22, 2012. 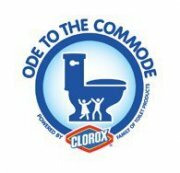 What is your funny bathroom story? I know once we get started on potty training I will have even more funny stories to share. I now laugh a bit to my self when my son says "Pooh when we are watching the shows or movies. He can clearly say "Poop" now too lol he says it at random times if he sees something brown. My boy is a funny one! ** I wrote this blog post while participating in the SocialMoms and Clorox® blogging program, to earn My SocialMoms Rewards Points. The opinions and ideas expressed here are my own. To read more posts on this topic, click here.